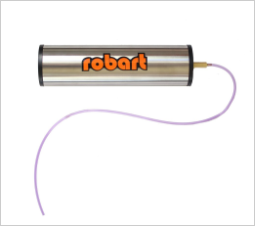 Fill your Robart Large Air Tank in about 1 minute. Pump has a programmable pressure shut off with LED display and light. It is rechargeable with built in battry either by the AC/wall and DC/car charging adaptors. Note: Fill chuck and accessory pack sold separately.